At Monster Cuts our clients come first, an outlook that connects with people. That connection is shown in the many testimonials for our lawn and landscape management services that we have received, a sampling of which is shown here. We appreciate you taking the time to write to us and we'll continue to do our best for you! Do you have a story you'd like to tell us about your experience with us? Please let us know! "We are so happy with your services. We have tried other services over the years, and even with our summer, our lawn has never looked this good in July. Also, appreciate working with your employees, they have been helpful, and also knowledgeable." "Many thanks to you and the Monster Cuts employees who put the final touches on John's party by immaculately grooming the yard on such short notice. I really appreciate it!" "Let me take a moment here to thank you for the excellent service I have received from you all summer. Thanks again!" "Thank you so much. My yard looks great!" "The gentleman who did the trimming is an excellent employee for you. He did a very good job, very efficient." 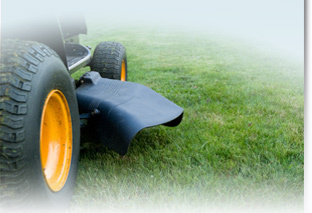 "To whom it may concern, I highly recommend Monster Cuts who have had complete charge of my yard for about two years. They have been exceedingly nice, cooperative, and I have found it a pleasure to work with them." "Please keep me on your list for lawn Maintenance! Thanks! Love the service - the yard looks so nice." "Thank you for the great job you did. Our lawn looks great." "Received many compliments about the appearance of our lawn - Thanks to you!" "My lawn has never looked better. Thank you!" "Thanks - you are doing a good job! It looks great!" "A neighbor told me my lawn was the best-looking on the block!! The service has been consistently very good in all aspects." "Outstanding! Excellent job. Thank you." [Our] "yard looks tremendous from the work you are giving it. Many neighbors have commented on how great it looks." "Wow, they did an excellent job. The lawn edging makes a world of difference in the appearance of the lawn." "You have been providing me with lawn service since Spring and I want to tell you how satisfied I am with the service you have provided me and the quality of the men who come weekly to tend to my lawn. My lawn has never looked better, and the men who cut and trim are extremely dependable and conscientious. Thank you." "I think you folks do a good job! Thanks." "David and his crew have done a great job cutting my lawn this summer. Thank you to them & you." If you have a lawn and landscape management project that is just too big to handle, get in touch with Monster Cuts at 407-365-1119 or contact us here. We serve Seminole, Orange, Osceola and Polk counties. Our wide coverage area includes Orlando, Oviedo, Lake Mary, Tuskawilla, Curry Ford, Lake Nona, Narcoossee, Lake Mary, Kissimmee, Winter Springs, and Florida.